PA Answer’s Telephone Answering Service is provided by highly-trained, friendly and professional Virtual Receptionists, who answer every call you miss, within three rings, in your company name. By dedicating 2-3 Virtual Receptionists to deal with all enquiries to your business, your PA Answer team get to know what you do and how you work, and become like a member of your staff – but at a fraction of the cost. Many of our customers pay less than £10 a week for PA Answer’s telephone answering service. PA Answer’s team of Virtual Receptionists also provide a range of business support services for our clients, including; diary management, call forwarding & call handling, telephone marketing, debt chasing & invoicing, minute taking & transcription, holiday & event cover, business continuity services and more. Click here for our full list of services. Why do you need PA Answer? 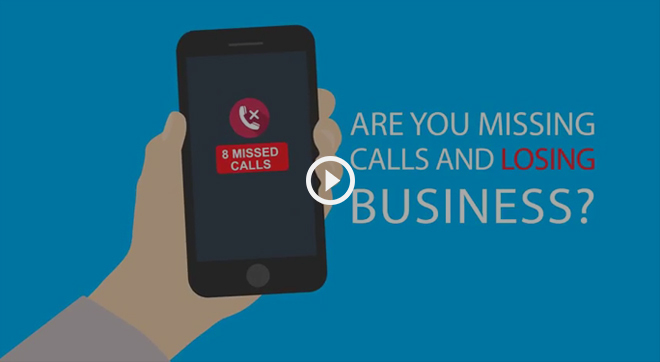 When 7 out of 10 callers won’t leave an answerphone message, a missed call can mean lost business. What I really like about Pa Answer is that they give you a specific girl to look after your calls so they answer the phone just like they're from your business. Its given me real peace of mind. Thanks. The easy way to manage a 24-hour help desk. There's always someone to talk to if there are any problems. I have used PA Answer for several years and the service is exceptional. They are helpful and customers are happy to leave messages. “They have helped a lot with the business in terms of freeing up time and gaining more bookings. I like the fact that they cover the calls over the weekend as well. Even when we’re closed, we're picking up all our calls." What could PA Answer do for your business?